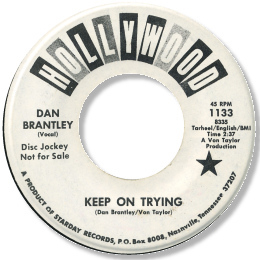 Brantley is one of those soul singers who only made a handful of 45s, but whose small output and personal obscurity hides great quality – wrote most of his own songs as well. His first - very rare - singles both came from Montgomery, Al under the direction of Von Taylor, and were credited mainly to the Micronites. 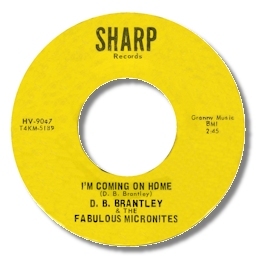 Both 45 featured a version of the lively uptempo "I'm Coming Home", with the Sharp cut being both more raw and much more poorly recorded. The similarly paced "(Let Me Tell You) I Got A Woman is exciting stuff, really good southern soul, but the best of the four tracks is the ballad Looking For A New Love which has some fine vocal work from Brantley amid a plodding rhythm section and good horn support. I love the original cut of the rocking Please Accept My Love, a version of the famous instrumental “Soul Serenade”. It has great energy derived from a “walking” bass line, crisp drums and horns and Brantley’s forceful but still melodic approach. Even the meandering flute doesn’t jar too much. Both sides of Brantley’s Hollywood 45 are quite superb. “Keep On Trying” is a gorgeous deep soul opus, featuring a charming xylophone fill over a Memphis guitar and a tasteful horn section. Brantley’s slow burn vocal is complemented by the tight harmonies of the Micronites, wth whome Brantley recorded his first two records. The flip, I’m So Lonely is almost as good a ballad, with mournful horns and more fine male backing, making the disc a 5 star classic. 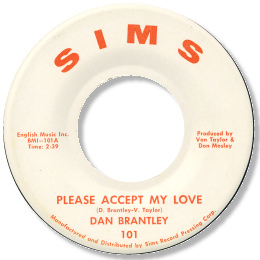 Sadly the recut of “Please Accept My Love” isn’t a patch on his first version, but “Get It Together And Do What You Should” isn’t at all bad – good southern soul. Superb arrangments and production from his long time assocaite Von Taylor. His second De Luxe 45 has found some admirers on the funk scene but both tracks are a bit messy to be honest. 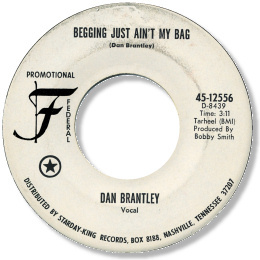 Another marvellously rendered deep soul number, Begging Just Ain’t My Bag, on his only Federal 45, put him right back amongst the winners however. Perhaps this heavily echoed vocal cut was his finest performance, emoting over a very churchy organ, intricate guitar lines and a big horn background. When I finally found a copy of his Southbound 45 it proved to be a big disappointment – best avoided. But his other discs should be in every southern soul fan’s collection. Thanks to Naoya Yamauchi for extra info on the Southbound 45 and to Pete Nickols for the Billboard info below. Thanks also to Brad Hales for extra info.